Learn from my 20 years of interviewing and hiring people just like you, across multiple Fortune 500 companies. Don't take my word for it - hear the real stories of how people landed their dream job with this information. You're qualified for the job - it should be yours. Let me show you what goes through the head of the interviewer so you can use it to your advantage. An advantage others won't have. What a rush it will be when you conclude job interviews knowing that you nailed them. If you follow the advice in this book, you should experience that feeling every time you walk out of an interview. Buy this book if you are job hunting!! Can you explain why you're the person they need to hire? Employers ask you 100 different interview questions...but what they really want to know is, "Why should we hire you?" 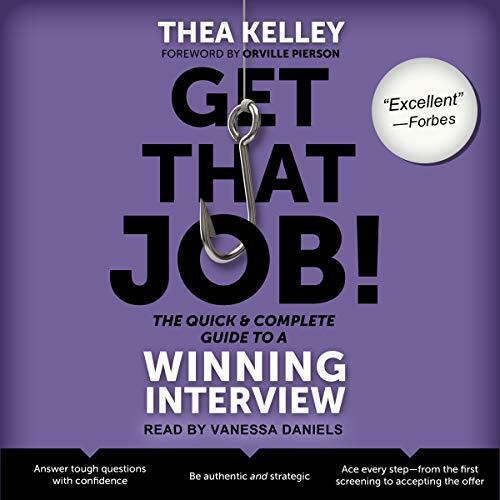 If you get interviews but you don't get the job, you have not explained that to them.This is the audiobook that will show you how to use your answers to get the job. Getting called for an interview is a golden opportunity afforded only to a handful of hopefuls who apply for a job opening, so you need to make the most of it. Furthermore, too many interview books focus on you, the interviewee. What about the people performing the interview? What are their goals and success metrics? How do you approach the different players? If you want to be successful, you need to understand what the other side thinks. This book walks you through the motivations of the key individuals you’ll encounter, a strategic advantage when interviewing. What if there was a way to make an incredible impression, stand out from the competition, and win an interview for a job for which you didn’t even apply? Learn what 90 percent of your competition doesn’t know. You can't prepare an answer for every interview question. So, of the thousands of questions potential employers might ask, which ones will they ask? And what should you say? 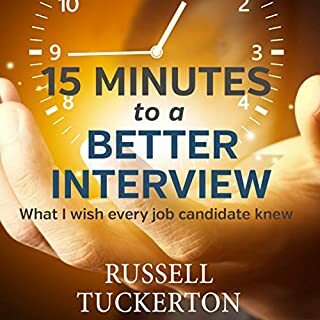 After extensive research among hundreds of interviewers and thousands of interviewees, finally here's the book that will give you the answer. Whether you are moving up, moving on, or just starting out, America's top career coach, Robin Ryan, offers proven, easy-to-learn techniques for mastering the job interview and landing the job of your dreams. 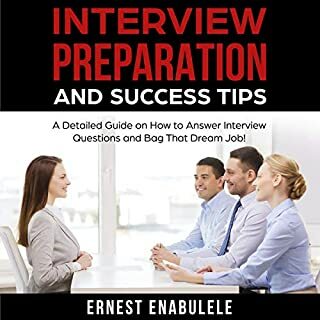 This brief, compact book, newly updated in 2008, is packed with useful tips such as: how to establish a career identity or personal brand in the opening minutes of an interview using the 60 Second Sell¿, answers to more than 100 of the toughest interview questions. Jobs. They are necessary for most people to be able to live. Most people want a job that is fulfilling, but maybe they don't know how to prepare for the interviews of a higher position or what to do when they get there. Perhaps you are one of them. Are you the type that shuts down when you get asked a question you did not expect to hear? Maybe you start sweating and stutter out a question that sounds more like an answer. Many people do, and this is why this audiobook has been written. This book has a considerable amount of tips,. In the nutshell, Job Interview Patterns solves the mystery that often crops up in any job interview: "Why am I being asked this question?" Knowing what the interviewer is looking for will build confidence and lead the job seeker to the most effective answer. 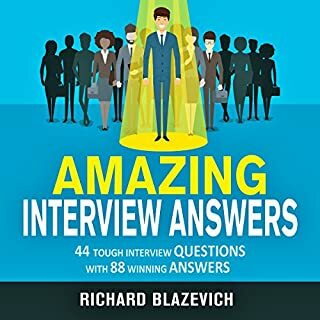 Toward this end, we have analyzed thousands of interview questions and have prepared best answers to 100 most common behavioral interview questions to share with you. Phone interviews are really phone "screens". Employers use them to weed out candidates and come up with a short list of people to interview face-to-face. If you don't get invited to interview, you got screened out of the job. 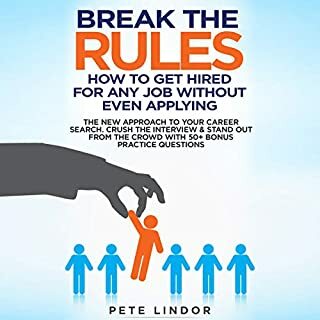 This book will keep you from getting screened out and consistently put you on the short list of candidates who get to interview in person. The author of America's largest career advice newsletter shares best practices and expert advice for writing a great resume, without the drama or agony, in a quick 2.5 hour audiobook. Based on 15 years experience, with millions of resumes, from the leader in $100K- $500K careers, Ladders 2018 Resume Guide provides easy and effective advice for fast-rising and mid-career professionals. In a few short hours, Cenedella shares the best insights and hand-picked advice from his decades-long experience. Great read - not a cookie-cutter approach. The 2-Hour Job Search shows job seekers how to work smarter (and faster) to secure first interviews. Through a prescriptive approach, Steve Dalton explains how to wade through the Internet's sea of information and create a job search system that relies on mainstream technology such as Excel, Google, LinkedIn, and alumni databases to create a list of target employers, contact them, and then secure an interview - with only two hours of effort. The time is now for you to land your dream job! Aced will immediately help you get a higher salary! That is why you should download Aced today. And because you are awesome! The choice is entirely up to you. 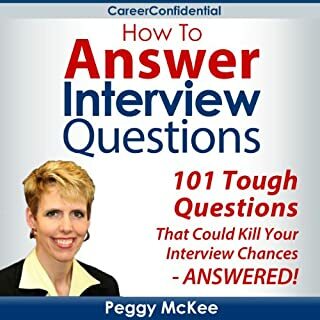 After listening to this book, you'll be able to answer all interview questions in your interview. You will have more productivity, possess more confidence in job hunting and habit stacking. You'll be prepared and in control of your job search and interview like never before. 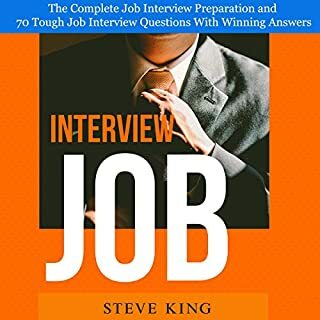 With no filler and never a word wasted, Knock 'Em Dead Job Interview shows you how to turn job interviews into job offers and paychecks, increasing your professional success and financial stability. You'll learn how to prepare psychologically for interviews, how to turn phone interviews into face-to-face interviews, and how to dress for success on the big day. Most importantly, you get insider knowledge for answering hundreds of tough questions. Misses critical info. Buy my other stuff. Goldmine! Do you know how lucky you are?! Keep listening, because you have just bumped into a ridiculously valuable audiobook that explains more than just the basics. Pretty much everything you need to know gets covered in this audiobook. Do yourself a favor and feast your mind on the many secrets, explanations, and job interview tips you won't find everywhere else. You will learn, among others: How to dress up, do research, be on time, and make a great first impression. 37 Ways to Have Unstoppable Confidence in Your Interview! Discover how to succeed in interviewing like a pro! Never again miss out on another job opportunity! Finally get the job you deserve! Praised as "excellent" on Forbes.com, this concise interview guide gives listeners proven tips and clear instructions to prepare for breakthrough interviews. Job seekers will learn to identify and communicate their unique strengths, their "key selling points"; understand why employers ask many of the most common interview questions - and how to answer with confidence; succeed with video interviews, behavioral interviews, and panels; build an arsenal of success stories; and ace every step - from the first screening to accepting the offer. I'm turning 48 in a month! I was very nervous about applying for a new job after being at the same job my entire career. My employer laid off 45 people in an attempt to rehire at lower paying salaries. I missed the cut, but I might not have missed the next one. It was enough to make me look and see what jobs were available. I followed the guidance in this book to a T. I asked great questions, and had great answers for even the questions I couldn't answer correctly. I wrote thank you notes, made eye contact, and showed tremendous self confidence, even through my nervousness. I negotiated a 37% increase and some telework opportunities as well. If not for this book, I would never have developed the fine details to be the candidate who stood out. 2 weeks into my new job and I've never been more satisfied. Thanks for creating such a wonderful tool! I like it. Kept me interested. I personally consider that it covered the most important topics in an interview and suggested ideas to be prepared for an interview.